Women's Original Colourblock Tall Wellington Boots is rated 4.8 out of 5 by 5. 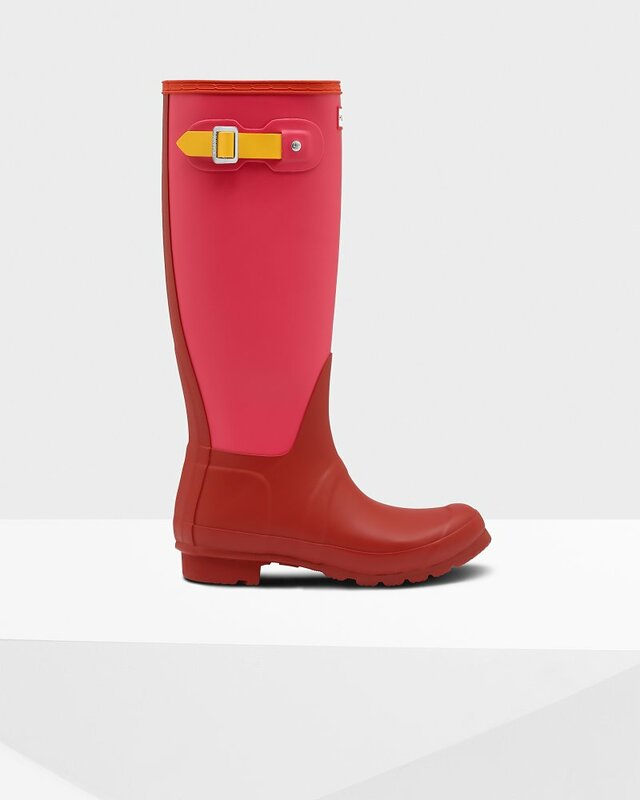 The Original Tall Wellington boot has been reinvented in a striking colourblock. Handcrafted from 28 parts, using natural rubber, this Original icon is hand assembled over three days and features our unique outsole for wet weather conditions.